Race your family! Race your friends! Get ready for some serious kart-racing fun on our Lost World Go-Karts! 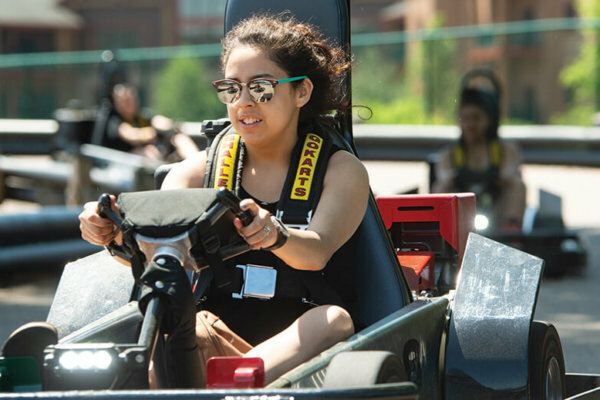 Located at Glacier Canyon Lodge next to our Lost World Waterpark, find out who is the fastest and most skilled driver going around the winding turning track. We also have a Kiddy Kart track geared for the younger drivers who want to test out their skills on the course as well! Our Kiddy Kart track is separate from the Go-Kart track making it perfect for beginning drivers that are 4-9 years old.